Today I have my full, uncut interview with video essayist extraordinaire and multiple Vimeo Staff pick “winner,” Adam Westbrook. Today we introduce an official new segment on Radio Film School…”RAW”: Radio Film School interviews uncut, unfiltered and unbelievable. Today we have my uncut interview with Philip Bloom. If you’re serious about learning video, chances are you’ve come across one of the videos of Dave Dugdale of LearningVideo.com. 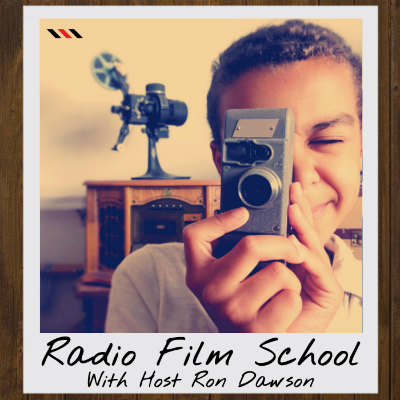 Today we have a bonus episode of Radio Film School where I have an in-depth chat with Dave. As Star Wars Episode VII quickly approaches, we keep the sci-fi spirit alive with this bonus episode of my full interview with Sky City Haya director Adad Warda. A special bonus episode of Radio Film School. My full, uncut interview with Adam Forgione. Most Radio Film School episodes are affectionately crafted audio documentaries with excerpts from multiple interviews. But every now and then we have an interview so chock-full of creative and cinematic goodness, it's a shame not to share the whole thing. That's what RAW episodes are.